Level and stabilize damaged concrete with our PolyLevel system. Keep your pool deck safe and looking great with concrete repair. From warehouses to parking lots, PolyLevel can help your business! Concrete slabs that are cracked, sunken or uneven can be both dangerous and unsightly on your property. If you're looking to avoid safety hazards and restore the aesthetic appeal of your sidewalk, driveway, pool deck, or any other concrete surface, the experienced professionals at Texas Concrete & Foundation Repair can help. As your regional PolyLevel concrete lifting company, we have the materials and expertise to restore your sunken concrete to a safe, stable position. 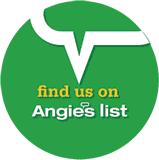 Don't hesitate to call us or contact us online to schedule your free cost estimate in Austin, Round Rock, Waco or an area nearby. "I felt very comfortable with Jack Erickson's assessment of..."
"While searching the internet I came across polylevel , I..."
"I was impressed with the crews professionalism , ..."
Texas Concrete & Foundation Repair's concrete leveling services are available for both residential and commercial applications throughout TX. We can help with everything from driveways and sidewalks to pool decks, patios, concrete steps, interior concrete slabs, and more. No matter how large or small the project, we will be there for you with fast, effective solutions! Whether your concrete slabs have shifted and sunken due to foundation settlement, soil erosion, or any other factor, it's important to keep in mind that demolishing and replacing the concrete is costly, disruptive, and usually unnecessary. Alternatively, PolyLevel uses a foam injection that expands beneath the sunken concrete slab and lifts it back to its original position. The entire process is fast, causes minimum disruption to your property, and will eliminate tripping hazards by ensuring that the concrete surface stays even and secure. 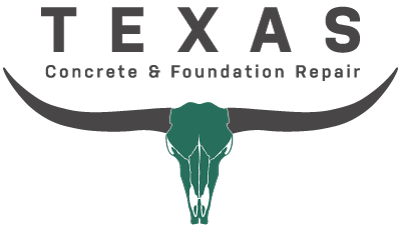 If you're ready to get started on your concrete restoration project in Fredericksburg, San Marcos, Georgetown, Cedar Creek, Killeen, Waco, College Station or a nearby city or town, contact Texas Concrete & Foundation Repair today! We are your expert PolyLevel concrete leveling professionals with the solutions you can trust, and we offer free, no-obligation quotes throughout .